These really young guys from Torino, Italy who do look like kids, will deliver a blast mix of violent but still melodic thrash metal at OEF 2018. Estabilished in 2009 on the ruins of the band named Fallen Angel. Except for their debut EP „Wildcrash“ they have two full-length albums under their belt and the latter one called „Deflect the Flow“ was released by renowned Candlelight Records. Despite their young age, the guys have played a lot of shows around Europe and in Japan along with some big names of the genre like Exodus, Testament, Onslaught and others. ULTRA-VIOLENCE are now working hard on a new album which should see the light of day in the beginning of 2018, so they will surely play a couple of new tracks for us at OEF 2018!!! MOSH TILL DEATH!!! 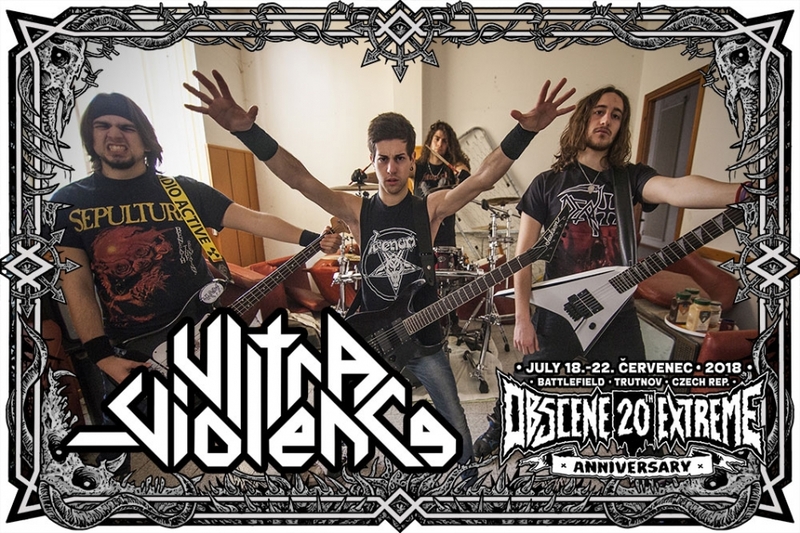 Ultra-Violence is an Italy based thrash metal band active since 2009 with 3 releases and an intense live curriculum already, including appearance at festivals and club shows around Europe and Japan. The latest album "Defect The Flow" has seen the light in 2015 via Candlelight Records and led the band to share the stage with acts such as Testament, Exodus, Onslaught, Discharge, Angelus Apatrida, Tokyo Blade and Rotting Christ. The band is now at work on their third full length, to be out in early 2018.